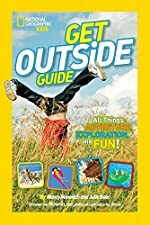 Get Outside Guide by Nancy Honovich and Julie Beer. Review: Ready to have fun anywhere you go? If you are, then take the National Geographic Kids Get Outside Guide by Nancy Honovich and Julie Beer with you. It will provide you with many different ways to have fun. In The Get Outside Guide, you will find plenty of games and projects like an underwater telescope. Also you can see if you can find the animals that are shown in the book. The Get Outside Guide helps readers find way to have fun anywhere from the beach to your own back yard. If you are going camping or hiking you might as well bring this book along. 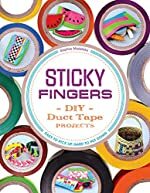 This book is for anyone that likes going outside or is bored and wants something to do. The Get Outside Guide gives you plenty of situations such as if you are at the beach it shows you how to build a sand castle. The author provides plenty of facts about animals and the instructions to make projects are very clear and easy to read. The text is fairly easy to read and no confusing lines too. With The Get Outside Guide, you will leave the phone and other electronics and enjoy the outside. You will have plenty of activities to do and maybe even a little competition. Now go get the book and add some fun into your life. Have you read Get Outside Guide? How would you rate it? Percy Jackson's Greek Gods by Rick Riordan. 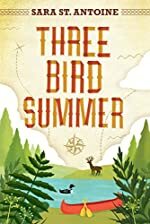 Review: Imagine yourself as a Greek God's child, and you're about to tell about all your aunts and uncles who they were when you were not even thought of yet. Percy Jackson from Percy Jackson and the Olympians gives his amusing reviews on all of his aunts and uncles who are Olympians. Percy Jackson's Greek Gods by Rick Riordan is written in the perspective of Percy Jackson. Apollo jumps up, turns to his mother and says, ÒI need a bow and arrow, asap!Ó He was just born, and he was demanding bows and arrows! Then he shoots Hera with the arrows! This is just a small excerpt from Percy Jackson's Greek Gods. Mythology is the key to this book. Percy Jackson gave reports on Hestia, Demeter, Persephone, Hera, Hades, Poseidon, Zeus, Athena, Aphrodite, Ares, Hephaestus, Apollo, Artemis, Hermes and last but not least, Dionysus. These are the Greek Gods. The Greek Gods control basically the whole Earth. He enjoyed writing about his aunts, uncles and his own dad. I'm not going to tell you who his dad is; you need to read it to find out! No going on the Internet. He tells about how the Greek Gods were born and how they grew up to be adults. The setting is Mount Olympus. All the gods are normally on Olympus. In Percy Jackson's Greek Gods, there is a dice roll between the three most powerful gods. Whoever gets the lowest dice roll gets the gloomy underworld. Whoever gets 3-4 in the dice roll gets the sea. Whoever gets 5-6 gets the sky. The youngest brother, Hades got the underworld. The middle brother, Poseidon, got the sea. The oldest, Zeus got the sky and he became the ruler of the heavens. If you think about it, the dice roll wasn't fair. That's why Hades gets mad and wants- guess what? - Revenge. I personally loved the book because I love mythology and humor. I love to read every single book from Rick Riordan, he tells his story in such detail. I can always picture what is happening. I find that very hard for someone to do, so I applaud him. This book informed me about the Greek Gods and mythology that I didn't know. Even if you think you know a lot about Greek mythology, you probably didn't know the vast amount of detail that Riordan includes in his book. Percy uses descriptive verbs such as trembled and shook with fear. Sometimes it gets confusing with all the marriages, so you might want to write them down. This would be a boy and girl book. I recommend the book for kids ages 10-13 because of length of the book and the sophisticated vocabulary. 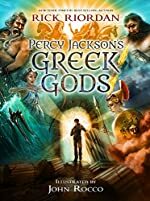 Overall, Percy Jackson's Greek Gods will be enjoyable for most upper elementary and middle school readers. We would like to thank Disney Publishing Worldwide for providing a copy of Percy Jackson's Greek Gods for this review. Have you read Percy Jackson's Greek Gods? How would you rate it? Review: Do you like mystery novels? Well, this is the book for you. They are on a mission on who killed the Russian diplomat and to save dash's career as a detective. 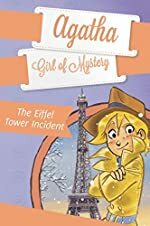 In Agatha the Girl of Mysteries: the Eiffel Tower Incident, by Sir Steve Stevenson and Stefano Turconi brings mystery into a whole different place on the other side of the world. 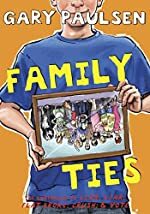 Agatha, who is the mystery girl in her family, Dash who is the detective in the family, Chandler who is Agatha's helpful butler, and their cat, Watson are on a mission to find the murderer who killed the Russian diplomat in at the Eiffel Tower. With only the diplomat's final words "Red Rose", they try to hunt down the culprit. They first think it is a brand of wine, but they have no luck with that. After they notice the two pictures in the newspaper, their adventure begins. If you are a mystery lover you should read Agatha's whole series. 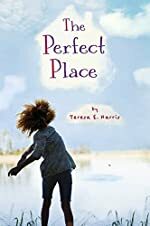 This book I would recommend for ages 10-12 because even though it looks like an easy book, there are challenging words in there. 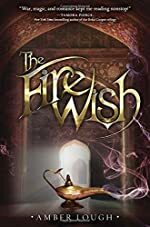 I liked this book because each page has something good or entertaining to read. Her clues and ideas are constantly bringing her into different situations and different places. Agatha will continue her journey soon in Sir Steve Stevenson and Stefano Turconi's next book. Queen of the World! by Jennifer L. Holm & Matthew Holm. A Babymouse Book. Review: Are you the one always with big ideas? Then this book is for you. It's called Babymouse: Queen Of The World! by Jennifer L. Holm and Matthew Holm. So if you're the one daydreaming instead of paying attention, read this book. You may find you have something in common! In Babymouse: Queen Of The World!, the main character is Babymouse. She is a middle school girl, and she is a mouse. She really wants to be popular - queen of the world, if you will. But she can't be the queen of the world. That position is already taken by Felicia Furrypaws, a cat. Baymouse wants to be just like her. When Felicia has a sleepover party, it feels like everyone is invited but her. One day Felicia forgets her book report. She says if Babymouse gives her the report, she'll invite her to the party. When she is about to leave for the sleepover, she realizes she already has plans with her best friend, Wilson. Many things go wrong at the sleepover, and Babymouse realizes that Wilson is a true friend. I enjoyed Babymouse: Queen Of The World!, even though the reading level is more for early elementary readers. 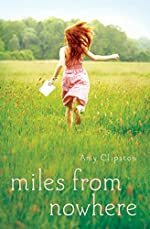 A girl would probably enjoy it more than a boy, but it is a good book for all readers. I think this is a good book because it has a really sweet message, that true friends forgive you no matter what. It's really sweet, and I think a lot of girls can relate to it. It is also a funny book; she daydreams a lot. Jennifer L. Holm tells girls to be what they want to be through this funny, amazing story. Sure, she isn't the most popular, but she realizes she has everything she needs and life is good. 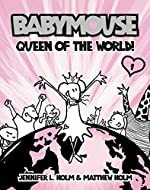 If you read Babymouse: Queen Of The World! and enjoy it - Good News! 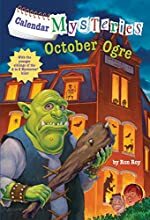 There are 9 other books in this series. I recommend this book to all the dreamers and lovers of all things girly. We would like to thank Random House for providing a copy of Queen of the World! for this review. Have you read Queen of the World!? How would you rate it? 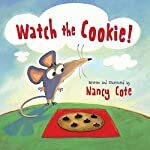 Watch the Cookie by Nancy Cote. Review: Have you ever just done everything with your best friend? You feel as if you guys are almost connected. There is a very similar situation in the book Watch the Cookie by Nancy Cote except in Watch the Cookie something happens and tears them apart. In Watch the Cookie, a boy named Sam and a mouse named Mousey are very close. But then Sammy has to go somewhere and they get separated. And something happens to Mousey. What is Mousey going to do? Watch the Cookie is a wonderful picture book for a five or six year old. The writing isn't very hard to read and there very few words on the pages so they could read it and it won't take them a long time. The illustrations help the book and make you understand the book better. A boy or girl would enjoy this book. It is a good book for early readers and for parents to read to younger children. Review written by Isabella (6th grade student). We would like to thank Sky Pony Press for providing a copy of Watch the Cookie for this review. Have you read Watch the Cookie? How would you rate it?